In a blog post that accompanied the announcement, he noted that over the last two and a half years, Instagram has become a community where you can capture and share the world’s moments simply and beautifully. Even still, however, some moments need more than just a static image to come to life. Starting today, the latest version of Instagram for Android and iOS will include a video camera icon on the capture screen just to the right of the regular capture button. It’s with this button that people will be able to capture video clips of up to 15 seconds in length – more than double the length of a six second Vine video. Of course, the creativity doesn’t all have to come at once. Users can record an Instagram video in installments, electing to record just a few seconds – or tenths of a second – at a time. 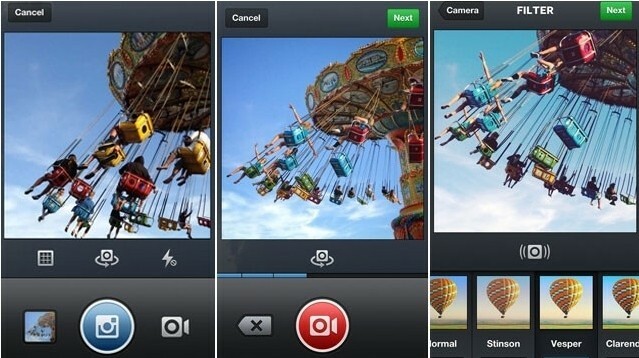 Instagram video doesn’t include the same looping feature found with Vine, however. Naturally, Instagram video wouldn’t be Instagram without filters. To that end, there are 13 different filter effects that can be applied to a video during processing. Systrom said the company was excited to see what the community will bring to video.